Visit our new Sing at Cornell website for more information on the choral program! The premier treble choir is comprised of 60 singers from all of Cornell's colleges. Founded in 1920 as the Cornell Women's Glee Club, the Cornell University Chorus' tradition of excellence has been formed by its high standards of musical achievement and its leadership in pioneering new works for treble voices. 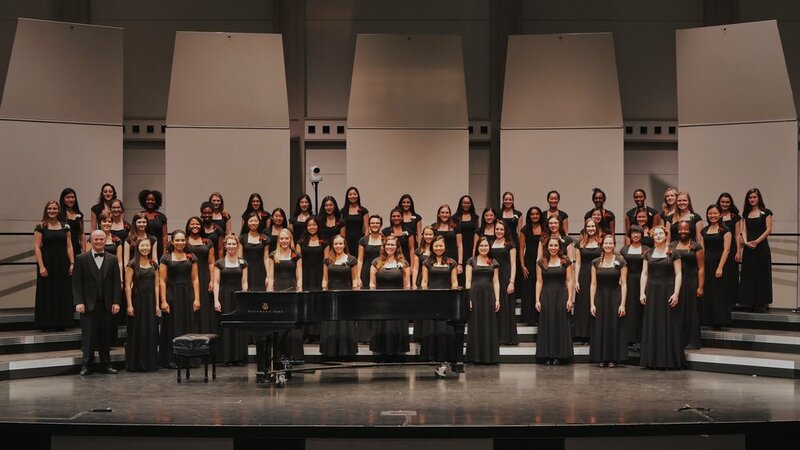 The Chorus travels to other universities for competitions and festivals in addition to touring both domestically and internationally. Contact information: Email the Chorus at chorus@cornell.edu. For information about After Eight, the a cappella subset of the Chorus, visit www.cuaftereight.com. The oldest student organization at Cornell University, the Glee Club was founded in 1868 as the Orpheus Glee Club. Since then, the 60-voice male ensemble has performed on concert tours throughout the United States and in more than twenty countries, appearing in prestigious festivals and broadcast on countless radio and television stations. The Glee Club has premiered a number of well-known works for men’s voices, including the American premier of the famous “Ave Maria” by Franz Biebl. Contact Information: Email gleeclub@cornell.edu or visit www.gleeclub.com. For information about The Hangovers, the a cappella subset of the Glee Club, visit www.hangovers.com. The Chamber Singers is a small, mixed ensemble with a varied history. Founded in 1995, the Chamber Singers focus on repertoire for a small number of singers. Much of this repertoire is drawn primarily from the Renaissance and the 20th century, but programming has varied with conductors. More Information can be found in the Music Department Office, at 101 Lincoln Hall. A large, mixed-voice ensemble, the Chorale is comprised of students, faculty, staff and community members. The repertoire is heavily slanted toward classic standards of western music. Voice lessons, both hour and half-hour, are available through the Music Department. Partial scholarships are offered for members of department-sponsored choral ensembles. Contact Information: Email Nicole Easton at njb43@cornell.edu. For more information about music at Cornell, visit the Music Department website.